Vitamin C + Rose Hip is a powerful antioxidant that fights against free radicals and protects the body and cells from damage. In particular, vitamin C is necessary for the formation and healing of connective tissue, skin, tendons, cartilage, and blood vessels. Vitamin C is particularly important for the synthesis of collagen, which holds the body together as a glue. is required for iron absorption. Vitamin C is a very important substance when it comes to strengthening the immune system. Specifically, vitamin C increases the production of immune system defense cells – T and B cells –, which the body uses to successfully fight against infections and colds and prevents the spread of viruses and infections. 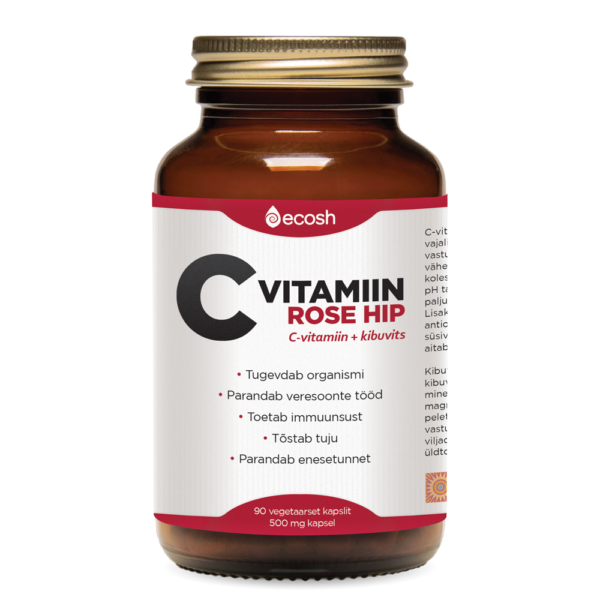 Ingredients: Vitamin C (L-ascorbic acid), rose hips powder, vegetable capsule (hydroxypropyl methylcellulose). Directions: 4 capsules a day with water. Vitamin C doses should be spread throughout the day; no more than 1 capsule should be taken at a time.